SHAZAM is a a breath of fresh air to family entertainment. Sandberg brings to light a storyline with characters that are relatable as well as, commissioning superb acting to give the film audience a visual experience that is not a waste of time. One will simply smile when the word SHAZAM is uttered because it’s that word that will recall so many funny scenes accompanied with endearing charm and heart. Fourteen-year-old Billy Batson (Asher Angel) is a foster child. He’s been in foster care since the age of three after being tragically separated from his mother during an outing to a city-wide Carnival. Deemed a foster-kid delinquent because he runs away from one foster care family after another trying to locate his mother because that’s who he thinks he needs, but every attempt ends in disappointment. Legally Billy is the ward-of-the-state and bound to stay in foster care until the age of eighteen. Forced to give yet another family a chance, Billy reluctantly enters a group home sponsored by a loving couple, Rosa and Victor Vasquez (Marta Milans and Cooper Andrews) who currently raise four other foster children. Billy’s new siblings, Darla Dudley (Faithe Herman), Mary Bromfield (Grace Fulton), Eugene Choi (Ian Chen), Pedro Pena (Jovan Armand) and Freddy Freeman (Jack Dylan Grazer), enlighten him on many subjects. Freddy is a Superhero fanatic and attempts to educate Billy on the adventures such characters but Billy isn’t interested. Until, Freddy shows Billy his rare silver bullet that is worth some money. Billy’s ticket to freedom! In another world, beings with super natural powers over good and evil are at battle to find the perfect successor to their magical throne. The Wizard (Djimon Hounsou) is looking for his champion, his chosen one, to pass on his goodness to rule the universe who displays purity of heart and is strong in spirit. The Wizard’s powers must be transferred before he dies. The Super-Villain, Dr. Thaddeus Sivana (Mark Strong) once in line to be the Wizard’s chosen one, fell prey to the desires of control and envy pursuing the Wizard’s power. Supported by the ghosts of the seven deadly sins together they must eliminate the Wizard’s chosen one, Billy Batson, if they seek to control the universe. Billy is magically summoned by the Wizard and explains what he is entrusting to Billy. Totally freaked, Billy wants out and truthfully knows he is not the person the Wizard describes as the chosen one. 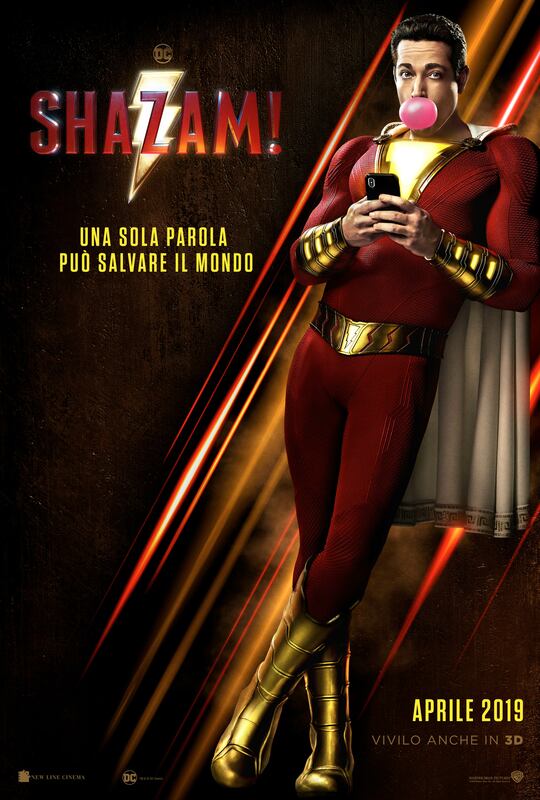 Fearful of the Wizard, Billy is respectful and is obedient to follow his instructions which takes him into a Superhero world he knows nothing about except that crazy things happen when he speaks the word SHAZAM!